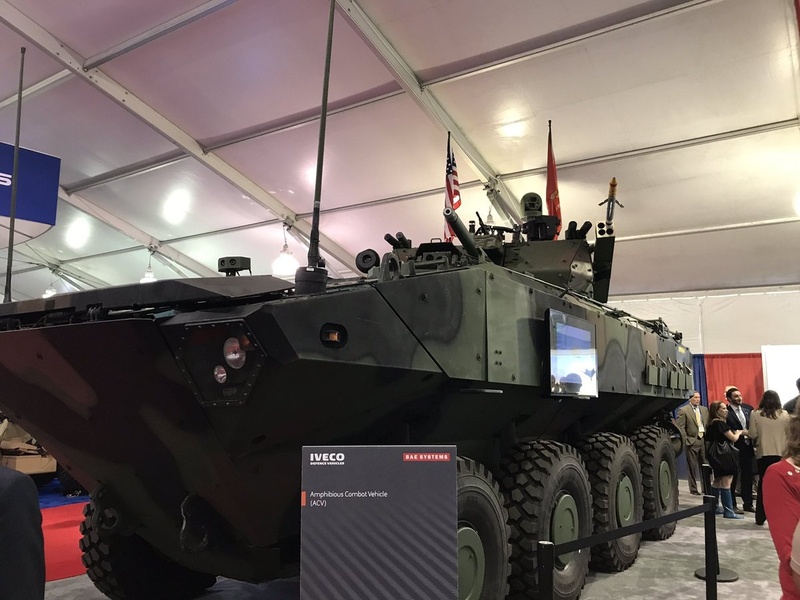 The new ACV has a host of differences and capabilities not on the more than 40-year-old AAVs but most immediately noticeable is it is an eight-wheeled vehicle. Gone are the treads of the tracked AAV. When asked about tire performance by reporters, Swift said that in testing the ACV was able to travel another 30 km with three debilitated tires. • Increased IED protection (2X). • Greater reliability (improved mean time between failure). • Reduced signature and smaller profiles (a critical survivability factor in a G-RAMM environment). • Increased dispersion of personnel among more vehicles (a critical risk reduction factor). • The design margins to allow for a family of vehicles of various configurations (personnel, command, and recovery variants; potentially others ie: indirect-fire, anti-armor in the future). • Greater weight growth and freeboard capacity. I highlighted in red the things that I considered surprising. The increased IED protection while important is in keeping with expectations. The reduced fuel consumption should help our logistics tail so that's a huge win. Reduced cost has me puzzled. Is that operating costs? The potential for weight growth is as hoped for but freeboard capacity? The dang ACV has more buoyancy than the AAV? Who would have thunk it! I still want to see them running in the muck but hope runs high.